Evening guys! Last night I had some leftovers from a steak and potato meal (made in my new kitchen!!!!) and some leftover egg drop soup. I really had no idea if this was going to work out, but it did. 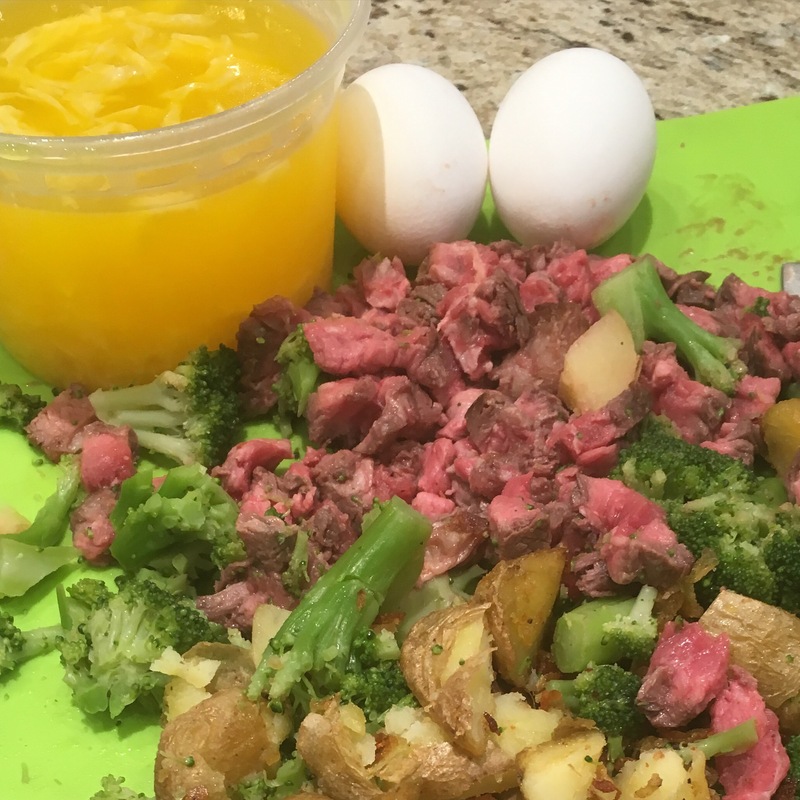 I chopped up the steak and veggies, mixed them with the egg drop soup, 2 beaten eggs, and lots of cheese. I cooked it in an oven safe pan until I could tell the eggs were setting on the sides, about 4 minutes. Then I put it in a 350 oven for about 10 minutes. It came out pretty yummy! I had some for breakfast today and shared the rest with some co-workers. Hoping to get in the kitchen this weekend…I have a lot of catching up to do!